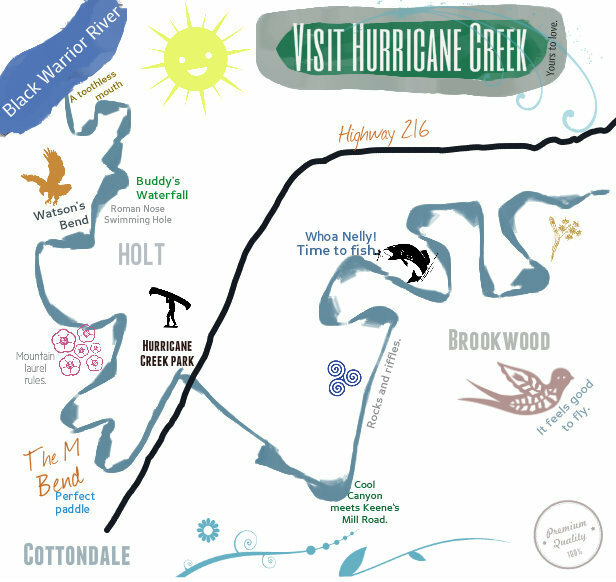 The Friends of Hurricane Creek benefits from a lengthy, meandering history which mirrors the life and style of the creek itself. We are still waiting on one of the original paddle club members to write this history for us. 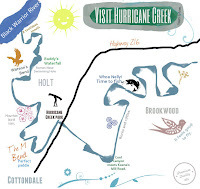 In the mid-1990s, a group of concerned citizens organized the non-profit Friends of Hurricane Creek, affiliated with the international Waterkeeper Alliance, to advocate for the protection and preservation of the creek and its surrounding habitats. The organization, which now numbers over 180 members, holds annual creek clean-up events and has pioneered a procedure for citizen's to file complaints about threats to the creek and engages in grassroots campaigns to protect the creek and its ecology and pursues cooperative agreements to end pollution and educate the community about its effects on the creek. In the mid-2000s, the Friends of Hurricane Creek expanded their mission to place an increased emphasis on education and advocacy. FOHC is facilitating ecological educational programs to benefit children, students, and economically or mentally impacted members of Tuscaloosa County. Inspired by Richard Louv's research on the benefits of connecting children to nature, FOHC is currently seeking to sponsor local schools and institutions who wish to partner in our Creek-Based Learning Modules and Earthskills workshops which create lasting relationships between young stewards and natural ecosystems. Since eco-conscious community living requires us to make the best use of natural resources, FOHC is also working to share fallen timber with local wood-based artists and assist artists in creating natural structures and land art for Hurricane Creek Park and its surroundings. It started with a handful of canoe and kayak enthusiasts who found Hurricane Creek to be a hidden treasure, Truly one of the most beautiful places on Earth. 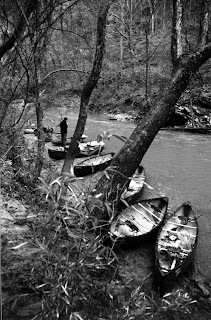 In those days there was hardly anyone paddling the creek. For the most part you could float along in total solitude. In a place as beautiful as this, it was hard not to notice that everywhere that people were accessing the creek was covered with trash. The bridge at Holt Peterson Rd stood out as a particular problem. For years people would bring all sorts of household garbage, trash, broken appliances, and the occasional dead animal and just dump it in or around the creek. The bridge itself was vandalized with truly nasty graffiti and demonic slogans. I was embarrassed to bring anyone new to the place since the graffiti was so offensive. Some of the heathens (my term for anyone doing harm to the creek) had to even paint white over past graffiti to make room for more. We talked several times about what could be done to correct the situation. It came up that we should sponsor a “Hurricane Creek Cleanup”. One of the many problems with the idea was what to do with all the trash. Waste Management solved this by donating a huge dumpster and picked it all up for free. After several calls we realized that a lot of folks were interested in helping. It seemed to us that everyone we talked to have some story or memory of playing or swimming in the creek. We heard stories of Baptisms and church socials. We heard stories of old men who remember hunting and trapping on the creek. Mr. Wilbur Horton told me of an Indian who used to walk up the creek every spring to an unknown location on the creek to pray and spend time on the land where his family raised him. Wilbur said that he did not know from where he came or where he went when he left. It was a sure bet though that when the flowers began coming out he would see his seasonal friend. An elderly lady told me of walking from her grandmother’s house to Sunday socials on the creek at what we now call Stroker Point. She told of a time when “The Creek” was the gathering place for most of the folks who lived around here. During the preparation for the cleanup we started learning about all the mills that were located along the creek. At one time there were several mills working doing everything from sawing lumber to grinding corn into meal. 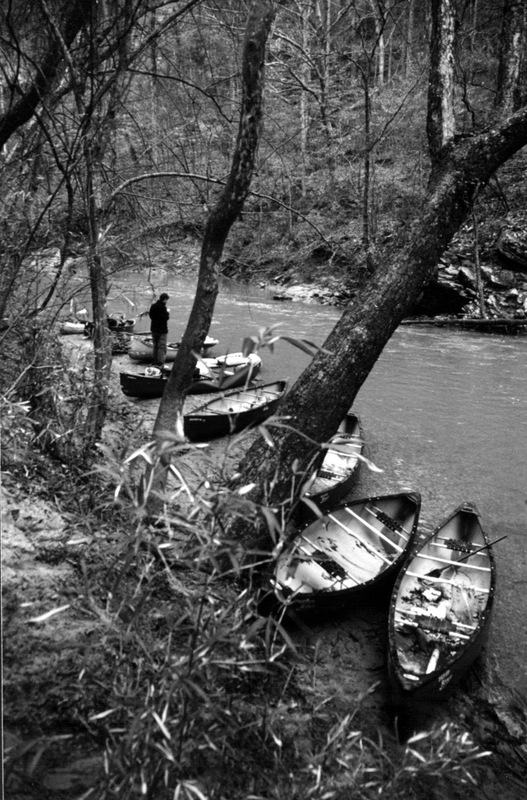 Hurricane Creek has been credited with supplying most of the lumber that built a large portion of early Tuscaloosa. After hearing of all this, we decided to try to involve the entire community in our effort. The first thing to do was to get the word out. The Tuscaloosa News, then channel 17 news, channel 33, even channel 6 out of Birmingham gave us a huge response. We were on one or the other television stations every night. The Tuscaloosa News ran stories on the front page. It really shocked us to think that so many people cared about a stream that had been all but forgotten except as a mine drainage ditch. You see, for many years Hurricane Creek was badly polluted with coal mining waste. When the 1977 surface mining laws were passed, it began to get better. There were still violations but overall things began to improve. After the news interviews on the bridge, Tuscaloosa County agreed to paint over all the writing if we would keep it painted. Gregg Hester became the official bridge tender and would paint over any graffiti within just a few hours. Eventually the kids got tired of not being able to show off their work and stopped all together. Occasionally one will try to sneak one in and it mysteriously would disappear by the next day. Thanks Gregg! There were only 13 original members of the Strokers Paddle Club. That included paddlers as well as their spouses and in one case even one of the children. When the media started circulating our story we started getting volunteers and donations from all over the county. Bama Ice, Coca-Cola, Pepsi, Merita Bakery, Barksdale Warrior, Foodworld, Winn Dixie, Southeastern Meats and several others. They were the first people who were called “The Friends Of Hurricane Creek”. The day of the cleanup came and we had over 60 volunteers turned out and gave the creek a fairly thorough face-lift. Just around the Holt Peterson Bridge we collected nearly 60 bags of trash. All together we came up with a couple of hundred bags of trash, several tires, old refrigerators, a discarded exercize machine, and even a Tuscaloosa Newsstand. We fed all the volunteers and had drinks and snacks all day and never spent a dime doing it. Afterward we had exactly doubled our membership and made friends with enough people in the area to raise awareness of Hurricane Creek and it importance to the community. From there, it has grown into The Friends of Hurricane Creek becoming an advocate voice for the creek. Our association with such groups as Alabama Environmental Council led me personally to a national organization called The Citizens Coal Council. It was from the CCC that we learned how to have an impact on the mines that were still polluting our stream. It was the CCC that gave me the media traiing that helped focus attention or our cause. Since that time we have seen dramatic improvements in water quality and species of fishes.